Bryan Pierce is an internationally famous artist, whose paintings have dazzled the world. But there’s a secret to Bryan’s success: Every canvas is inspired by an unusually vivid dream. Bryan believes these dreams are really recollections?possibly even flashback from another life?and he has always hoped that his art will lead him to an answer. And when he meets Linz Jacobs, a neurogenticist who recognizes a recurring childhood nightmare in one Bryan’s paintings, he is convinced she holds the key. Their meeting triggers Bryan’s most powerful dream yet: visions of a team of scientists who, on the verge of discovering a cure for Alzheimer’s, died in a lab explosion decades ago. As his visions intensify, Bryan and Linz start to discern a pattern. But a deadly enemy watches their every move, and he will stop at nothing to ensure that the past stays buried. Gwendolyn Womack began writing plays in college and majored in Theatre at the University of Alaska, Fairbanks. She received an MFA in Directing Theatre and Film from California Institute of the Arts and currently lives in Los Angeles with her family. The Memory Painter is her first novel. I was part of a book blast for the hardcover version of this book a year ago, but didn’t get to read it until I signed up to be part of this blog tour. I’m sorry I had to wait for such a gripping story, but, wow! Am I glad I finally read it! This is a great story that not only taps into the power of our dreams but is also a compelling mystery/thriller. Why is Bryan suddenly painting the same scene from Linz’s nightmare? Is it possible something else is going on? And why are people after them. At times haunting – especially when Bryan is in the throes of a painting session – and at other times heart-poundingly exciting – with just enough romance to balance everything else. The dialogue is incredibly well written, and the characters seem like people you’d totally want to eavesdrop on in your local coffee shop. If you want a story that defies categorization, keeps you in suspense to the end, and makes you question everything you think you know about dreams and creativity, and where both come from, Gwendolyn Womack’s The Memory Painter will give you the perfect blend of entertainment, insight, and provocation of ideas. Goes well with baguette, brie, red wine, and a rainy day. 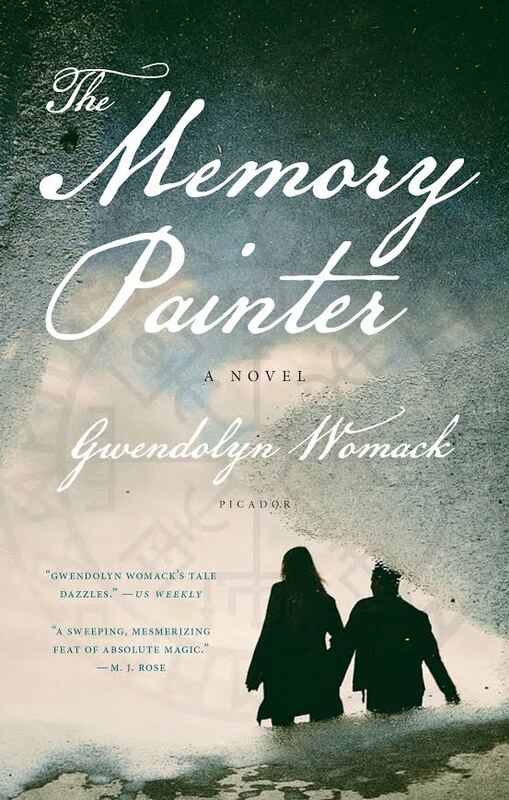 Review: The Memory Painter, by Gwendolyn Womack by Melissa Bartell is licensed under a Creative Commons Attribution-NonCommercial-ShareAlike 4.0 International License. Eavesdropping on people like this in a coffee shop would have me goggle-eyed for sure!